It’s a little like fairy dust. Sprinkle some fresh herbs on an ordinary dish and – presto! – you have an extraordinary dish. Home cooks are discovering what professional chefs have known for ages. Fresh herbs can lift a dish to new heights. Supermarkets carry fresh herbs in the produce section. They come in small quantities and are typically packaged in a plastic container that makes them easier to ship. What herbs you don’t use can be stored by standing them in a glass of water inside the refrigerator and covering them with a small plastic sandwich bag or plastic wrap. In a food processor grind all the ingredients until finely chopped with 1/4 cup of the olive oil. Add the remaining oil and process until smooth. Mixture can be stored in the refrigerator for several days. Press into a container and cover with a thin layer of oil. 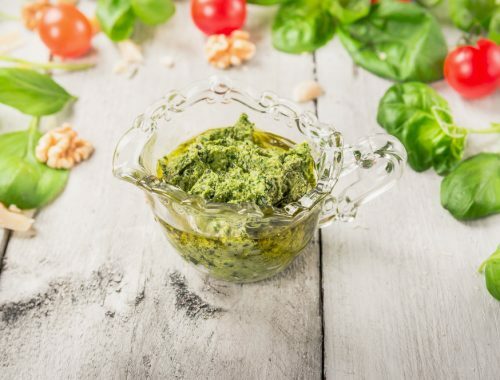 The oil will prevent exposure to air, which turns the pesto dark. Combine all ingredients, except pork roast. Put pork roast in large plastic bag (or plastic container). Pour marinade over pork. 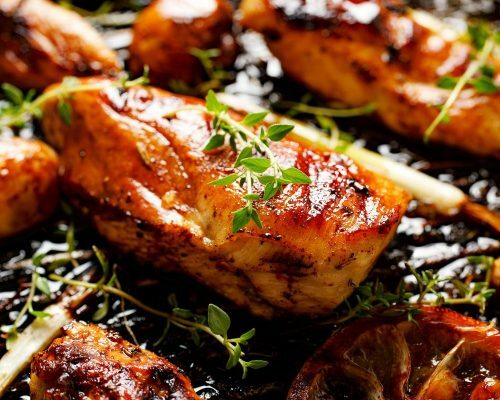 Marinate at least 4 hours in refrigerator, or overnight. 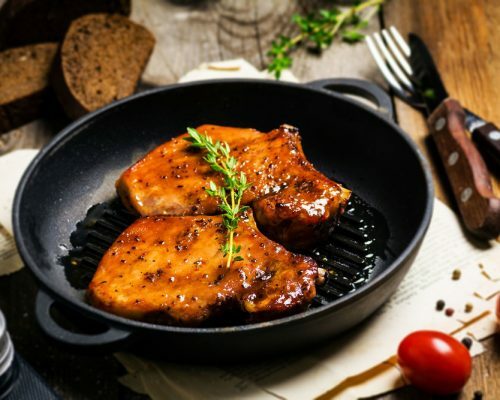 Remove pork roast from marinade, reserving marinade. Grill covered (or bake at 350 degrees) for 30 minutes per pound, basting occasionally. Simmer remaining marinade for at least 5 minutes, serve drizzled over sliced roast. 6 pieces aluminum foil, each large enough to wrap a chicken breast like a sandwich. Mint, dill, parsley OR basil, oregano, thyme OR tarragon, parsley, chives.